This seems to be a film that many are having strong feelings about. Critics and those alike are not enjoying it, and saying it does many things wrong. Fans however are saying it’s great because of how close it is to it’s comic origins. While I think it’s up to each individual to see this film and make their own opinion, it is my opinion that this is a fun super hero origin film, that deserves a sequel. I’m glad they started this movie off from the beginning by explaining what the Green Lanterns are, and then jumping into who Hal Jordan is. Throughout the film it is constantly explained to us that Hal is a man who has a great deal of fear in his life, we learn that it originates from the death of his father. A Green Lantern’s job is to be without fear, which as you can tell becomes the whole inner struggle that Hal Jordan deals with in this film. It’s not that he’s a wimp, but that he’s afraid of having something wonderful in his life, he’s afraid of committing to something and then having it taken away from him, like his father was. This is why he struggles with every relationship in his life. Hal Jordan’s career choice is as a test pilot who continues to fail at that as well. Just when everything seems to have gone wrong in his life he is chosen by the ring of a dieing Green Lantern to be its’ new wearer. Hal learns about the Green Lantern Corps and how to use his ring. Unfortunately we are given a short look at other Green Lanterns, however I suspect if there were to be a sequel that there would have to be a substantial increase in the other GL’s screen time. 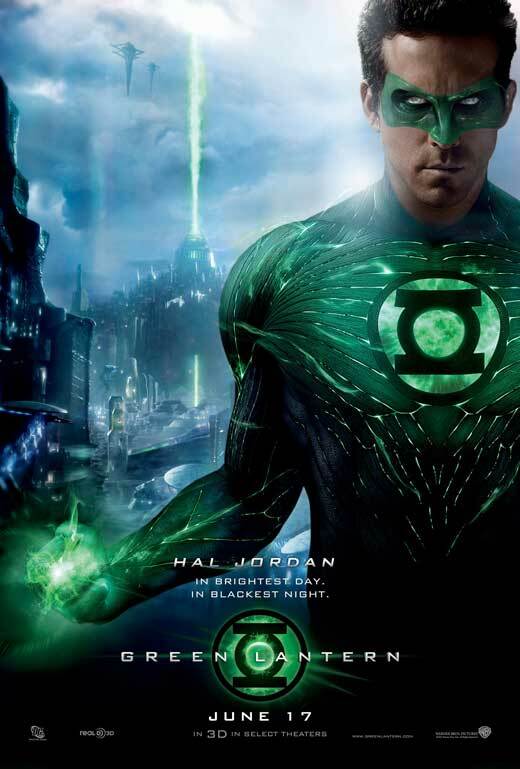 If you’re looking for a lot of space battles and scenes, just remember that this movie is focused on Hal Jordan’s origin and his beginnings of being a Green Lantern. Ultimately the villain in this film is a character called Parallax who feeds on fear. You could almost say it’s a monster but through it’s origins I wouldn’t call it that. There’s also a minor human villain, Hector Hammond, that provides some entertainment but gladly is not the main focus. All in all I understand some of the arguments about this film. For me I wanted to see more of the Green Lantern Corps in action, more of Sinestro, and more space overall. I did at times think the scenes between Hal and the love interest lasted too long but if they hadn’t had those there would almost be no females in this film. Something that hurt this movie was having to deal with Hal’s origin because unlike Batman or Superman, your average consumer doesn’t know much about Green Lantern. I don’t understand the complaints about the suit, I thought it was amazing. I don’t understand the complaints about the action sequences because I really enjoyed them and they made sense. What this movie did extremely well however is that it gave us a true comic book styled movie that delivered everything I would expect out of a comic book. This movie offers action, drama, a little comedy, aliens, superheros, and CG out-the-wazoo. I don’t think I could ask for much more out of a summer movie, but I can’t fault others for simply not liking it. However this film will be on my shelf when it’s released! Personally if I had cast Hal Jordan my pick would have been and still would be Nathan Fillion. I’m actually not a Firefly fan but I think he has what it takes to embody the Hal Jordan character. This entry was posted on 06/20/2011 by Charles. It was filed under Green Lantern, Movie Review .